OK, we know about the bureaucratic excesses of the federal government, IRS, EPA, DHS. The damage they do can be measured by the broad sweep of their regulations. But the closer we get to the grass roots of the regulatory process, the more we can see how idiosyncratic it is…not just in the formulation of regulations, but in enforcement and a mindless display of oversight, reminding me more of a helicopter mom, stalking her child on his way to school to make sure he doesn’t slip behind a Stop sign to light up a Chesterfield, or worse these days, to make sure he doesn’t sneak a 16-oz can of Monster Energy. The worst kind of government is the one from which you can’t run away or hide. 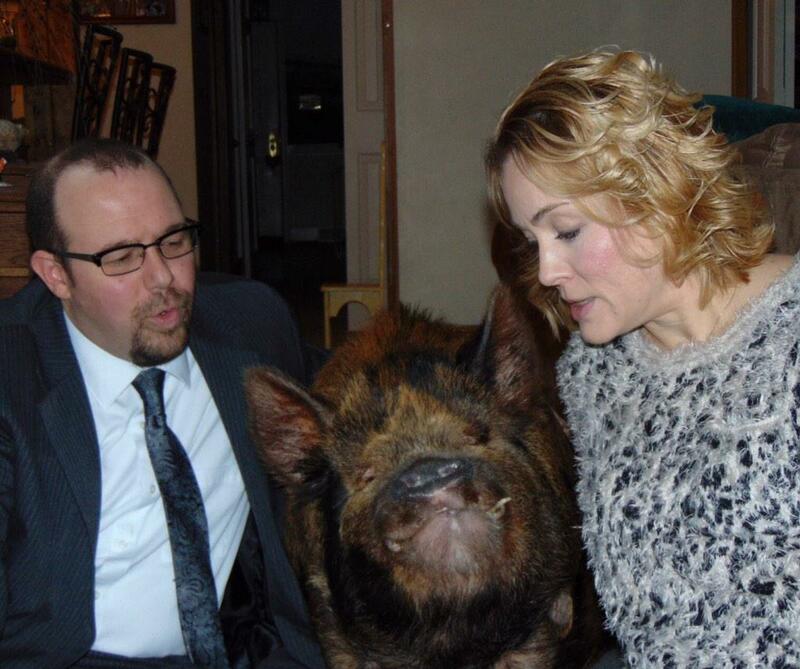 Speaking of Chesterfields, let me introduce you to Tucker the Pig, family pet and friend to the Johnson family in Brandermill, Chesterfield County, Virginia. How Tucker (nmi) the Pig found himself before the Chesterfield County Board of Supervisors, and now under the watchful eye of the Chesterfield County Planning Commission (since it doesn’t have a Pet Pig Department…yet) is quite a story considering there doesn’t seem to have been any complaints about the pig from neighbors; no midnight gruntings, no slopping around in a sty, no pig stench stinking up the neighborhood. In fact, neighbors largely came to Tucker’s defense, when the family, out of civic duty and not a county citation, asked the County to grant them an exemption since by some reading of county ordnances, Tucker is livestock, not a pet. In October, the County Planning Commission turned the Johnsons down by a 3-2 vote anyway. I’d love to know which RedState lawyer advised the Commission on that vote. Expect to see a pig officer added to county payroll (pay- $35,000 year) once the Commission can come up with a job description that excludes kids raised on farms, and even a state office should Tuckerism catch on and other Virginia cities bring pigs indoors. Next post I Hate This Word----"Crucified"